If your business is based in the European Union (EU), or you process the personal data of individuals in the EU, the General Data Protection Regulation (GDPR) affects you. 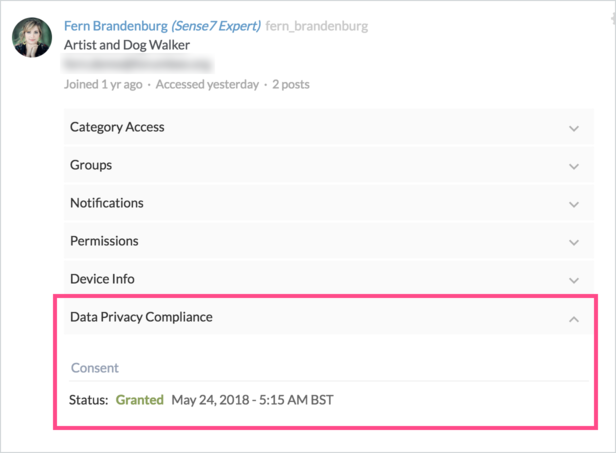 When relying on consent as your legal basis for processing, the GDPR says the consent you obtain must be freely given, specific, informed, and unambiguous. You also must clearly explain how you plan to use their personal data. We’ve updated the member signup process to help you stay compliant with this law. 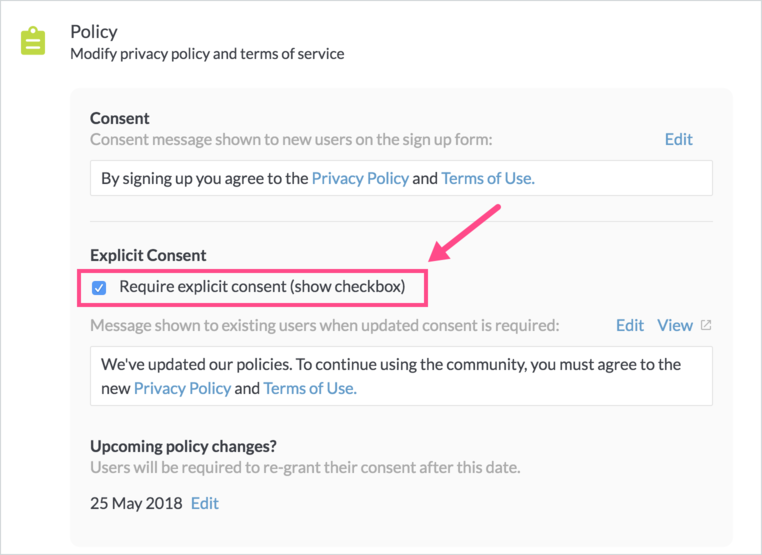 You can enable a checkbox for opt-in consent and edit the message to explain how and why you are using data. 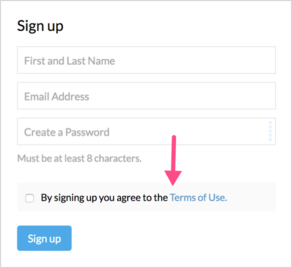 After this is enabled, the consent checkbox will appear on the signup form. 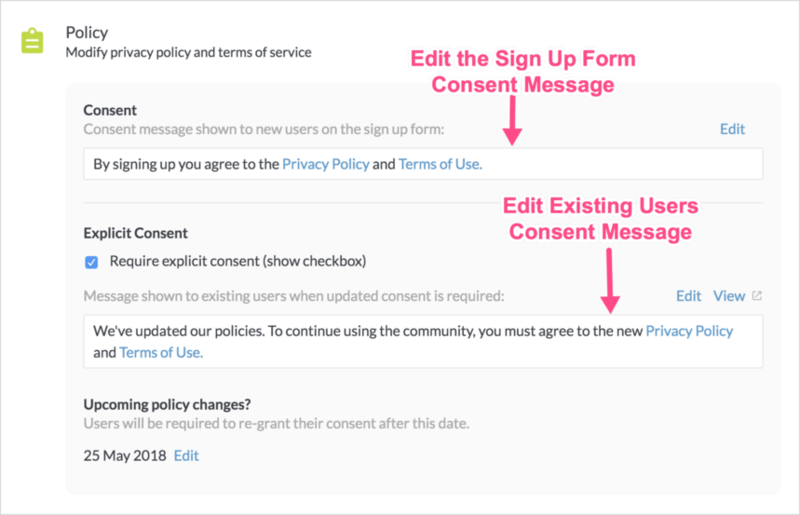 In addition, if there are any existing users who joined prior to enabling this option, they will be required to grant their consent on their next access and will be shown the consent message intercept page. After Require explicit consent is enabled, you can view a user’s consent status. For users who have not granted consent, their consent status is Unknown. After a user grants consent, their consent status becomes Granted and their date of consent is recorded.